It was Juliet, her old friend from their university days. She and Juliet had shared a house with several other students during the final year, and Juliet had been the one Zoë turned to when her long term partner, Grant, upped and left her for someone else the previous Christmas Eve. One of their house mates, Billy Fischer, had gone on to great things. Now a reclusive billionaire, Billy has organised an all paid for reunion at a luxury Austrian hotel over Christmas. The downside for Zoë is that her ex will probably be there too, but she’s had a rough year and is determined to put Grant in the past and keep him there. Maybe this is just what she needs. As she sat at a table outside by the river that evening, waiting for Juliet to appear, Zoë sipped her Prosecco and turned the conundrum of Billy’s invitation round and round in her head. One the one hand, the idea of seeing her ex again was challenging, but at the same time, the thought of a week in a luxury hotel on the ski slopes had considerable appeal. The story is told from Zoë’s third person perspective. She’s unhappy in her job working as a journalist for a celebrity magazine and would love to get a job as a more serious journalist. Making the mistake of mentioning her Christmas plans at work, she finds herself in a difficult position with the real possibility of losing this job before she has chance to find another. As the friends reunite and catch up on the news over last ten years, some are putting on a front, not quite what they seem. Decisions have to be made, lives need to be examined and reflected on, changes considered seriously. The gorgeous setting is described in vivid detail, and I could imagine being there. 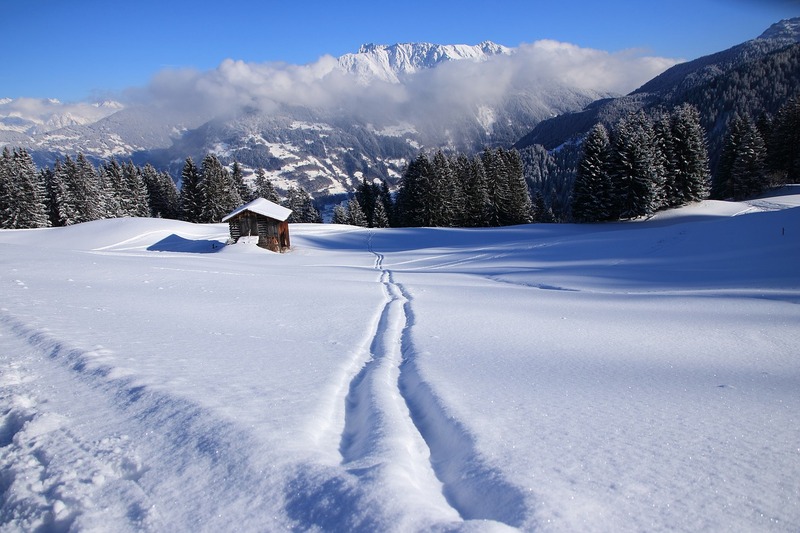 It’s just the kind of place where I’d love to spend Christmas – lots of snow and cold sunny days. Billy spoils his guests – there’s lots of beautiful scenery, snow, skiing and delicious sounding food, a good mix of well drawn and likeable characters plus a cute black lab puppy. I was hoping Zoë wouldn’t do anything silly, she had a couple of opportunities to mess up her life. I couldn’t see when or where the chance for romance would occur. Then I wondered…but discounted that idea. Was I right? I’m not telling! An enjoyable, easy read, perfect for an afternoon snuggled cosily in a chair in front of the fire, preferably as the world outside the window turns white. 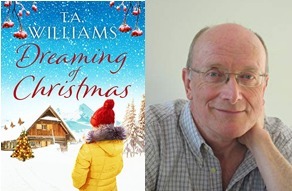 I chose to read and review Dreaming of Christmas based on a copy of the book supplied by NetGalley and the author/publisher. I admit I have a soft spot for holiday romances for some reason (darn you, hallmark channel!). This sounds lovely and restful, Cathy. Oooh… I’ve read another of his books… I can’t remember the name but it was about summer and Rome. Lol. This one looks quite lovely as well. First one for me but I could be searching out some more…. This does sound like a really good one for curling up with. Wonderful review. Very nice review! It does sound like a place I’d love to spend my holidays. I’m glad you enjoyed it! I will have to read this. Everyone needs to read at least one sweet Christmas romance each year.